Home Remedies For Water Retention – 10 Easy Ways To Get Back To Your Normal Self! Is edema caused only due to PMS or pregnancy? Know if water retention is dangerous and implement some best possible ways to recover as soon as possible! Have you been experiencing swollen body parts especially hands and feet? Is the swelling associated with bloating and an enlarged abdomen? If yes, there is every single possibility that It is due to water retention. Here are the best home remedies for water retention along with some simple tips on how to get rid of water retention overnight! What Exactly Is Water Retention? Is Water Retention Dangerous And Life-Threatening? Our lifestyle habits do not always remain the same. The constantly changing dietary habits and other changes in health may result in certain temporary problems, like that of a water retention. Water retention, which is also called oedema, is a condition in which excess fluid or water builds up in your body (instead of draining away) that can be identified through various symptoms, one major symptom being swelling of body parts and abdominal bloating. The severity of the water retention depends on the underlying causes that have landed you in the problem but you need not really worry since the problem is very common to occur and can be treated by following some easy-to-follow home remedies for water retention. You can check its severity by going through the water retention symptoms that are mentioned below and confirm whether you need to consult your doctor. It is a must that you take the necessary action immediately if you have identified your problem as a severe one. If your problem is a mild one, there is every possible way that you can get through all the inconvenience very easily and happily get back to your normal health. All you need to do is follow these home remedies for water retention without missing any remedy. There are various causes of water retention, some of which may surprise you. You can check with the following signs of water retention along with the causes and correlate with your bodily changes to gain a clear understanding of what has caused you water retention and the relatable symptoms. You will witness these symptoms if you are suffering from PMS (premenstrual syndrome), changes in the climatic conditions, sunburn, lack of physical activity, or if you are pregnant, or surprisingly if you are sensitive to flight journey. A serious water retention problem may occur if you are confronting any health conditions like heart and kidney problems, protein deficiency, malnutrition, thyroid problems, a high sodium intake or water retention caused as a side effect of certain medications. You cannot simply rely on the given home remedies for water retention if you have been suffering from serious symptoms but these can work as the best tips that you can follow after gaining a clear idea of your problem through your doctor. Consult your doctor without any hesitation if you happen to witness any of these signs of water retention. The accumulation of water in your body can cause you a great discomfort because of the bloating and weakness. You cannot really put on your favourite anklets, bracelets, or other ornaments due to swelling, or worst of all, if you have been experiencing water retention due to PMS, it can literally drive you go nuts.! You can just relax for a while and put your mind at ease because your problem is only temporary. You only need a proper self-care in the form of these amazing home remedies for water retention. 1. Should You Or Not Eat Salt? It is quite a confusing and chaotic situation where we cannot decide whether we should consume salt because a high salt intake is what causes water retention(1) in most of the cases; but, some medical sources claim that you can cure your water retention problem by consuming salt through your regular diet. The confusion usually arises because water retention can occur due to the imbalance of sodium levels in your body (either excess or deficit). So, the reaction may actually depend on the presence of sodium in your body. You can get a medical checkup done to know the exact sodium levels and consult your doctor before including salt in your diet. 2. 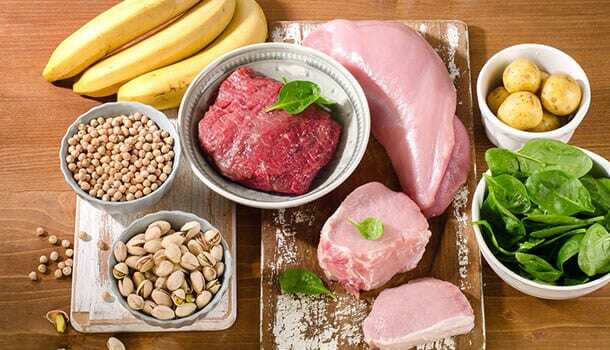 Why Should You Include Vitamin B-6 Foods In Your Diet? 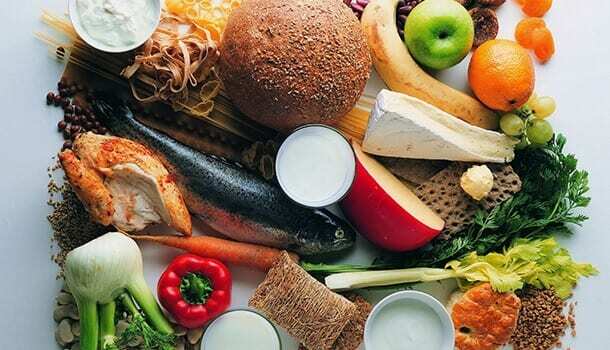 Bloating is one annoying symptom that occurs in women suffering from water retention caused due to premenstrual syndrome which can be reduced by consuming more foods that are rich in Vitamin B6, the vitamin which is commonly known as pyridoxine. This vitamin helps in draining away the excess water content from your body and increases your metabolism by enhancing the working capacity of red blood cells which is why an increase in the intake of vitamin b6 foods is one of the best home remedies for water retention. You can choose from the following varieties of foods that are rich in vitamin b6. It is very unfortunate that we have habituated ourselves to a sedentary lifestyle, a hazardous lifestyle that we have invited either through our work life or by simply restricting our physical activity. Sitting in front of home theatres and binge watching our favourite TV series can bring us happiness but along with it, it brings us numerous unexplainable health problems one of which is water retention. Stretching yourself and giving your muscles and joints a good physical movement is one of the best natural remedies for water retention. You can also choose to work out or practice yoga at home, but must avoid any of these if you are suffering from PMS symptoms. A simple walk around your garden or your corridor with some basic stretches will do. 4. Does Drinking Water Worsen Water Retention Symptoms? Most people hesitate drinking water when they are suffering from water retention as they believe it can lead to the accumulation of more water which may add up to the already existing problem. But, contradictory to this, dehydration can also cause water retention or water retention can also occur due to the improper working of kidneys (that play an important role in excreting the water from your body in the form of uric acid and other wastes). One simple yet most effective, in fact, the most required home remedies for water retention of all is keeping yourself properly hydrated. Providing your body with 1 litre of water per day is the best tip you can follow to get rid of water retention. Being a coffee lover can be a blessing as well as a curse because that first sip of coffee can make your cells dance because of the caffeine content that is responsible for the release of dopamine making you feel all good and happy but you cannot experience this kind of a paradise when you suffer from PMS. Drinking coffee or tea can worsen the bloating and water retention especially when it is caused due to PMS. I know it is really hard to stay away from something that instantly boosts your mood and energy levels, but it is just a matter of few recovery days after which you can get back to relishing your favourite drink. It is very evident from your condition that, there is a certain disturbance in the fluid regulation in your body that has resulted in the accumulation of water in your cells. 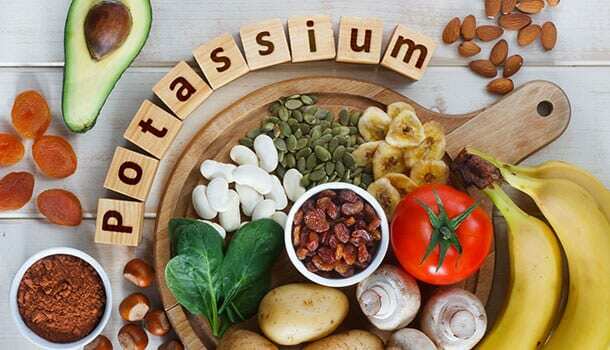 The two most important electrolytes in your body that work in correlation and those which are very much essential for a proper fluid regulation are potassium and sodium. Excess sodium content does not let the water to get excreted in the form of urine. So, you need a counterbalancing electrolyte (potassium) that helps in balancing the sodium level and make you urinate more. Here is the list of potassium-rich foods that you should consume as one of the best and natural remedies for water retention. Drinking alcohol may worsen your water retention symptoms, more particularly the symptom of bloating, because of the damage of gastrointestinal lining. Also, alcohol can disrupt the functioning of your liver and lead to accumulation of water inside your body. Drinking alcohol affects the working of antidiuretic hormone, the hormone which is responsible for retaining water inside your body. Anti-diuretic hormone prevents the loss of water content from your body and prevents dehydration because it absorbs the water from urine and sends it back to your body. 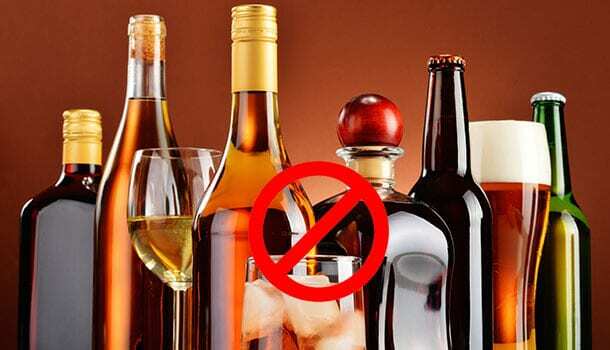 When you drink more alcohol, the role of antidiuretic hormone decreases (failure of retaining water back into the body) creating an urge to urinate more which will ultimately lead to dehydration. When you have more sodium content within you, your kidneys fail to perform a proper excretion and the water that has to be actually discharged through urine accumulates back in your cells and this is essentially what causes water retention. Though you reduce your salt(2) intake (which is the major source of sodium) you may have to cut down on the other sources of foods through which you might unknowingly acquire sodium. Here is the list of foods you must avoid while following the home remedies for water retention simultaneously. 9. Consume One Variety Of Green Leafy Veggie Each Day. One of the best natural remedies for water retention is consuming one variety of green leafy vegetable each day. Here is how these healthy greens help you to get rid of water retention(3). Most of the green leafy veggies are a great source of water. So, as opposed, these vegetables do not cause a building up of water and fluids but instead provide you with the required nutrients and vitamins and at the same time flush out the excess water content from your body. Some of the leafy greens like Swiss chard, amaranths, and spinach are high in potassium, which makes them the best foods for maintaining a balance with sodium levels. Spinach, cabbage, mustards, turnips are a good source of vitamin b6 that reduces the water retention and provides you with a relief from bloating and inconvenience. 10. How To Get Rid Of Water Retention Overnight? You need not miss out on any important event just because you have been subjected to water retention and developed swollen hands, feet or ankles. Massaging your swollen parts is the best therapy most of the health professionals recommend you to perform. If you fear that you might hurt yourself, here is a stepwise procedure on how to get rid of water retention overnight with a soothing massage. Note that you perform the massage only if you witness a swelling that is not associated with any pain. In case of a mild or severe pain on the swollen area, it is recommended to consult your doctor rather than opting for a massage. These guidelines are for the masseuse or your caretaker who has to perform the massage. You can start by applying a gentle pressure in the neck region with the help of your fingers. You can use essential oils for performing the massage so that there is a proper lubrication that makes the motion of rubbing much easier. Move your fingers down the neck and continue the massage for 3-4 minutes. Move your fingers back to the neck region, stretch the skin gently and hold it for 2-3 seconds. After you feel that you have given a good soothing massage in the neck region for 8-10 minutes, you can now shift your focus towards the legs. Start by massaging the ankles and feet by applying a gentle pressure with your forefingers and make sure that you are using both your hands to firmly hold the ankle and feet. Move to the upper part of the leg making sure that both your hands are wrapped around the leg. The motion of rubbing should be in such a way that you enable a proper flow of blood underneath the skin. This is only possible when you perform the massage by using a right movement and by applying a right pressure.